When recovering from an opiate addiction, the withdrawal symptoms can be extremely painful, and in the worst case scenario, it is sometimes easier to remain addicted to a substance, rather than going through the pain of giving it up. One of the most common symptoms of opiate withdrawal is anxiety and restlessness. If you are currently undergoing an opiate addiction withdrawal, or if you are considering giving it a go, then maybe Xanax could help make your transition to sobriety a little easier. Using Xanax for opiate withdrawal can be helpful in weakening the effects of some of the more psychological symptoms such as anxiety, and panic attacks. Belonging to the Benzodiazepine family, Xanax has been used as a treatment for anxiety disorders for a long time, but it’s ability to lessen the suffering of a recovering opiate addict, is still not particularly well known. Is using Xanax for opiate withdrawal effective? According to some users on opiate addiction forums, the use of Xanax has played a huge part in dealing with the depression, and the anxiety problems which are often associated with opiate withdrawal. Taken orally, in the form of tablets, Xanax is a regulated drug which requires a prescription in order to purchase. 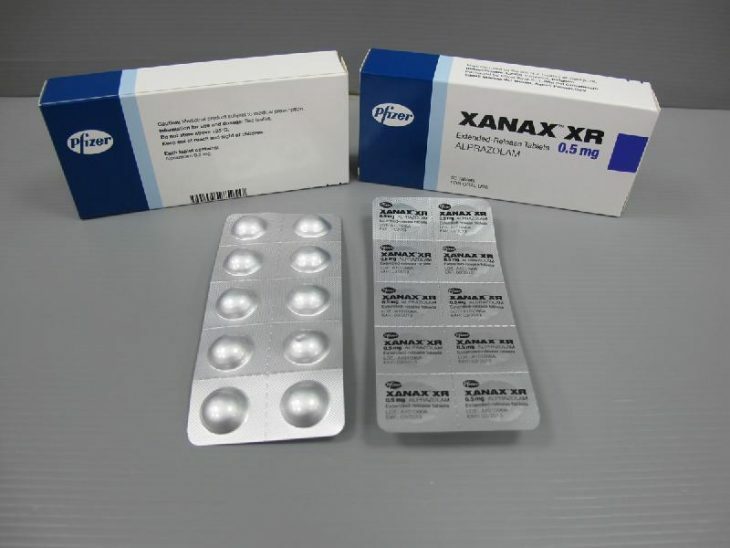 Thanks to it;s lethargic effects on it’s users, Xanax has can also be used as a sleep aid, for those who struggle to fall asleep during the peak of their opiate withdrawal. However, the effects that Xanax may have on your ability to sleep, will lessen the longer you take it. The method of administration is typically immediate-release tablets or capsules, with each tablet containing 0.5mg of Xanax. The recommended dosage for anxiety disorders, is generally 0.25mg orally, 2 or 3 times per day. However, the recommended dosage for depression, and panic disorders is 0.5mg orally, 3 times daily. The daily dosage can be increased, but it is recommended to increase in small increments of 1mg, every 3 to 4 days, if the effects do not suit your needs. While Xanax has been proven effective at helping to deal with the withdrawal symptoms of an opiate addiction, there are a few safety concerns you must understand before you begin your cycle. Firstly, it is crucial that you never drink alcohol while under the influence of Xanax. Drinking alcohol while on any medications can provoke a wide range of side effects, so it is recommended that you stay away from alcohol during, and at least a week after your Xanax cycle. Xanax, like every other medication in the Benzo family, can be highly addictive if taken in higher amounts, for prolonged periods of time. An addiction to Benzos can be just as hard to beat as an opiate addiction, so take this into consideration when deciding on your dosages. A natural alternative to Xanax is a supplement called CalmSupport. It was created specifically for helping opiate withdrawals and can be taken in order to reduce the pain and discomfort that happens during the withdrawal process. Check it out here. If you are currently taking any other medication, then it is important to speak to your doctor about your desire to take Xanax, as there are several medications which can interfere and cause complications. Xanax is generally a safe drug, providing you keep within the recommended dosages, and you don’t cycle the drug for a long period of time. As always, when you are ready to end your cycle of Xanax, it is recommended to taper your dosage slowly, over the span of a few days, in order to prevent any unwanted side effects.